They made the song for the original Anime of Attack on Titan. The Group of Linked Horizon has been selected to make the Opening Song form the upcoming Anime Adaptation of Attack on Titan Junior High. The Song will be called “Seishun wa Hanabi no Yo ni” (Youth is Like Fireworks). and will get distributed on October 5 via Online. The Anime will debut on October 5. Linked Horizon is knows from doing the openings from Attack on Titan and it´s Movies, also they made the Bravely Default Soundtrack. 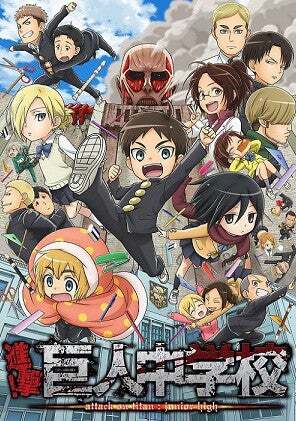 I´m not a fan of Attack on Titan, but this Spinoff got my attention!